I will examine how those trends are playing out in Southeast Asia and analyse the impact of US-China competition on ASEAN, the organisation’s ability to cope with the resulting pressures, and some of the factors underlying the day-to-day clamour over disputes in the South China Sea (SCS) which has emerged as something of a proxy for the larger strategic adjustments that are playing out between the US and China across East Asia. Since I am going to be cutting close to the bone of our own region, I ought to make explicit what should already have been obvious to all but the most determinedly obtuse: in this entire series of lectures I am speaking for no one but myself. I argued that the chief priorities of both the US and China are internal and both therefore want to avoid war or serious conflict as they seek a new modus vivendi with each other. At the same time neither will cease to pursue their interests. On a global scale, China is not a clearly revisionist power. But Beijing wants to reclaim something of its historical centrality in East Asia. The US has emphasised that it intends to remain an East Asian power. The strategic challenge for China is therefore how to shift the US from the very centre of the East Asian strategic equation and occupy that space, but without provoking responses from the US and Japan that could jeopardise Chinese Communist Party (CCP) rule. For the US the strategic challenge is how to accommodate China, while reassuring friends and allies that it intends to hold its position without stumbling into conflict. The SCS is not the only issue in US-China relations; it is perhaps not even the most important issue in their relationship. But the SCS is today the issue where the parameters of US-China competition and their interests are most clearly defined. Like it or not, the region will draw conclusions about American resolve and Chinese intentions from the SCS issue which will also shape perceptions of ASEAN. Continental Asia shades into mainland Southeast Asia which in turn dribbles into archipelagic Southeast Asia, the islands of which are strung along crucial sea-routes linking the Pacific and Indian Oceans. India and China have both profoundly influenced Southeast Asia, but in recent history, the latter more than the former. The notion of China as a nation-state with defined borders is relatively new. Throughout its long history, “China” has meant different things at different times. What is now Yunnan in Southwest China was perhaps only firmly considered Chinese in the late Qing. More often than not, power and control ebbed and flowed without consideration for what are now national boundaries. China’s border with Myanmar was not definitively demarcated until 1960; its land borders with Laos and Vietnam not until 1991 and 1999 respectively; and the trijunction between Laos, China and Vietnam not until 2006. Borderlands and strategic sea-routes are always contested, US-China competition is only the most recent manifestation. The interests of major powers have always intersected in Southeast Asia which was once dubbed “the Balkans of Asia”. In the 19th century, failure to manage the resulting pressures led to colonial rule. Thailand remained independent as much due to luck and the need of the colonial powers for a buffer state, as it was due to Thai diplomatic adroitness. In Indochina, nationalist independence struggles became entangled with Cold War rivalries which in Southeast Asia were far from cold. In 1967, this historical backdrop was vivid in the strategic consciousness of the newly independent states of Southeast Asia. A major factor leading to the formation of ASEAN was the common interest of the non-communist states of Southeast Asia, all of whom faced threats from externally supported communist insurgencies, in preserving maximum autonomy in the midst of major power competition. Whatever our other differences, and they were great, we realised if we did not hang together we would hang separately. ASEAN is a mechanism for managing external pressures and preserving the autonomy of its members by ensuring at least a modicum of cohesion, order and civility in our relationships in a region where none of this was to be taken for granted. The Cold War is of course long over. But this remains ASEAN’s fundamental and enduring purpose. ASEAN’s declared goal of establishing a “Community” across the three pillars of political and security cooperation, economic integration and socio-cultural cooperation are in a sense as important as means towards this fundamental end as they are ends in themselves. Southeast Asia is an extremely diverse region. Diversity simultaneously makes regional cooperation both very necessary and very difficult to achieve. ASEAN is an inter-state organisation which must work by reconciling national interests. The diversities of Southeast Asia are moreover not just of political systems or levels of economic development. Such differences could, at least in principle, converge. The key diversities of Southeast Asia are visceral differences of race, language and religion which define core identities and shape the domestic politics of ASEAN member states. They inevitably colour their calculations of national interest and inter-state relations. It not easy to imagine such primordial factors ever being erased. The potential nexus between the domestic politics of ASEAN member states, intra-ASEAN relations and the interests of external powers in ASEAN is thus a possibility that can never be discounted and must be continually managed. The dangers of such a nexus were underscored by the 1963 -1966 Konfrontasi an undeclared war waged by Sukarno’s Indonesia against Malaysia and Singapore. Konfrontasi was driven by Indonesian domestic politics, the dynamics of which led Sukarno to toy with a Beijing-Jakarta “Axis” as a counter to western forces. This was averted by a failed communist coup in Indonesia, the bloody aftermath of which quickly took on anti-Chinese overtones. Of course the region today presents a very different environment, thanks in no small part to ASEAN. But the general challenge of managing diversity has not gone away. I doubt it ever will. ASEAN therefore must, and can only, work by consensus and despite the Charter that came into force in 2008, largely informally. Any other mode of decision-making risks rupture with unpredictable consequences. The basic consensus on which ASEAN rests is a consensus on always having a consensus: even if it is only a consensus on goals that we know full well cannot be realised or can only be partially realised. Its corollary is the principle of non-interference in the internal affairs of other members. Better to agree only on a form of words or set aside areas where consensus cannot be reached or avert our eyes from the disagreeable, than disagree openly because who knows where disagreement may lead us? The downside of working by consensus — the unavoidable price we pay for having any sort of regional mechanism — is an unfortunate tendency to privilege form over substance which all too often morphs into self-delusion and wishful thinking. Nowhere is this clearer than in ASEAN’s approach towards regional security. Since 1971, ASEAN has been formally committed to establishing a Zone of Peace, Freedom and Neutrality (ZOPFAN) in Southeast Asia. ZOPFAN was based on the superficially attractive but entirely delusionary notion that regional security could best be secured by excluding the major powers from the affairs of Southeast Asia. Inconvenient questions such as how the major powers could be persuaded to show such forbearance and what to do if they refused were ignored. Curiously, ZOPFAN enthusiasts apparently failed to notice that at least one major power, China, is geographically contiguous to Southeast Asia, cannot therefore be excluded from the region, and in 1971 was still actively supporting communist insurgencies in Southeast Asia as well as the war in Vietnam. ZOPFAN sat uneasily with the demands of the Cold War which made simplistic notions of neutrality or non-alignment dangerous, as Sihanouk’s Cambodia and Souvanna Phouma’s Laos discovered at grievous cost. The Cold War instead impelled a search for balance. Not “balance” necessarily directed against one major power or another, but balance conceived of as a state of major power equilibrium that would enable ASEAN members to positively engage all major powers without getting embroiled in their quarrels. Neutrality or non-alignment could be safely pursued only within such equilibrium. Conditions that facilitate equilibrium cannot be established by simply lying low and hoping for the best. An ostrich thinks it is safe; but head in ground and rear in air is a posture that only invites trouble. Facilitating equilibrium requires taking a positive stand on sometimes sensitive issues. This is true for formal US treaty allies like the Philippines and Thailand, as it is for Singapore which was and remains formally non-aligned but maintains close defence and security ties with the US and, prior to its withdrawal east of Suez, with the UK which maintained military bases in Singapore as part of the American-led global security system. So vital were these ties that Singapore’s first Foreign Minister, the late S. Rajaratnam, almost walked out of the 1967 Bangkok meeting discussing the establishment of ASEAN before an eleventh hour compromise was reached by declaring that foreign bases in Southeast Asia were “temporary”. The ASEAN members who supported ZOPFAN either found some obscure satisfaction in striking virtuous postures while hitching a free-ride, or had other reasons for doing so. For Singapore the most crucial “balance” was not against communism or any major power, but the balance which supplements our own national efforts to maintain deterrence in our immediate neighbourhood and keeps our neighbours honest. ZOPFAN was in line with Indonesia’s preference for conditions that would facilitate “regional solutions to regional problems” which is to be understood as Indonesian solutions. Indonesia seems to believe that its size entitles it to a privileged position in major power calculations. To some extent this may be true, but only to a far lesser extent than Jakarta fondly believes. The major powers are happy, for their own reasons, to nurture the illusion. The formation of the ASEAN Regional Forum (ARF) in 1994 marked a significant, if ill-understood, shift of security concept away from ZOPFAN. The ARF has often been derided as a talk-shop. The criticism is not unjustified, but also beside the point. ZOPFAN regarded the major powers as illegitimate intrusions into Southeast Asia, at best tolerated as a necessary evil but not encouraged. This sometimes placed Singapore in an awkward position. So long as ZOPFAN with its implicit premise that regional problems should be dealt with only by regional states remained the only official ASEAN security concept, it gave our neighbours a political lever to use if they wished to pressure us for whatever reason. This was manageable but a distraction and an unnecessary irritant in already complicated bilateral relationships. The ARF is a forum explicitly dedicated to discussions on regional security, created by the sovereign choice of all ASEAN members who have, again by their sovereign choice, invited all the major powers to discuss regional security and other issues affecting Southeast Asia. Whether anyone realised it or not, this was a shift from ZOPFAN. The fundamental purpose of the ARF is to entrench this shift in how regional security is conceptualised and to encourage and legitimise the interest of major powers in Southeast Asian security. After ARF, who can now reasonably or credibly argue that the major powers have no legitimate interest in the security of Southeast Asia? It has had some effect. In 1990, when Singapore concluded a Memorandum of Understanding with the US for very limited use of our facilities by a small logistics unit of the 7th Fleet, our neighbours reacted with an outrage worthy of nuns who have discovered a pimp in their cloister. That the outrage was hypocritical — our neighbours too had their own quiet defence ties with the US — did not make it any less of a nuisance. But in 2005, when Singapore and the US signed a Strategic Framework Agreement that was far wider in scope than the 1990 MOU, there was nary a whimper. The same was true of the enhanced bilateral Defence Cooperation Agreement with the US announced in 2015. The broadening of ASEAN’s concept of regional security also opened the way for the participation of major powers in other ASEAN-led forums such as the East Asia Summit (EAS) as well as the ASEAN Defence Ministers Meeting Plus (ADMM-Plus). I do not want to claim too much for the ARF. Clearly there were other and perhaps more important reasons for the change of attitude, Chinese behaviour and internal political changes in our neighbours among them. In any case, the shift towards a more realistic concept of regional security is incomplete. ASEAN wasted an inordinate amount of time negotiating the 1995 treaty establishing a Southeast Asian Nuclear Weapon Free Zone (SEANWFZ). SEANWFZ is supposed to be a component of ZOPFAN. It came into force in 1997. All NWFZs provide only false comfort: the security assurances they provide are useless because under any circumstance when the use of nuclear weapons becomes probable, any treaty will be just a piece of paper. These make-believe games of arms control give those inclined to play them only the sensation of being involved in grave matters of war and peace. They are harmless so long as they are not taken too seriously and nothing vital is compromised. The SEANWFZ Treaty was concluded only after difficult and protracted negotiations reached agreement on Article 7 of the treaty, which allows visits to and transits through Southeast Asia by foreign naval vessels and military aircraft. The understanding is that we will not ask if any are carrying nuclear weapons and will not be told if we are foolish enough to ask. Three Nuclear Weapons States (NWS) – the UK, France and Russia – have made acceptance of reservations a condition for their accession to SEANWFZ even though the Treaty explicitly forbids reservations. This was entirely predictable. If the US and China have as yet made no reservations, it is undoubtedly because the other three NWS have done their dirty work for them. One Russian reservation gives Moscow the right to unilaterally determine if any ASEAN member is in breach of SEANWFZ. This effectively abrogates Article 7 and sets a very undesirable precedent. If ASEAN accepts the reservation, it could one day be used to pressure us to object to the US presence. Indonesia and a few other ASEAN members are keen to have the NWS sign on, seemingly believing that the accession of the NWS even with reservations that could undermine the regional balance, somehow demonstrates ASEAN’s “centrality”. Was this an attempt to keep alive the essential idea behind ZOPFAN? Perhaps. But the penchant to privilege form and regard ASEAN diplomacy as a type of psychotherapy designed to promote self-esteem rather than advance interests was clearly also at play. I have emphasised these hard truths about ASEAN because 49 years after its formation, they are still not sufficiently understood. I do not mean to suggest that ASEAN is useless. Far from it. There has been no war between its members. We have so far leveraged on our relationships with major powers to our advantage, while avoiding becoming embroiled in their conflicts. These are not insignificant achievements. They are the foundation of the region’s growth and development. None of this was to be taken for granted given the parlous state of Southeast Asia in 1967. ASEAN strengths and weaknesses are two sides of a single coin. Suharto’s Indonesia, in contrast to Sukarno’s Indonesia, accepted decision-making by consensus. This was a crucial factor that enabled ASEAN to survive where earlier attempts at regional organisation failed. The weaknesses did not matter too much as long as the international structure was clear. There was never much doubt about how the original five non-communist ASEAN members, joined by Brunei after 1984, should position ourselves within the Cold War structure. During the Cold War, China was a de facto member of the US led anti-Soviet alliance and made common cause with ASEAN against the Soviet-backed Vietnamese occupation of Cambodia. In the SCS, China fought South Vietnam over the Paracels in 1974 and fought a unified Vietnam in the Spratlys in 1988, but neither incident really concerned ASEAN very much. Maintaining ASEAN unity and working with China to respond to Vietnam’s invasion of Cambodia, which seemed the first step to realising Hanoi’s boast that it intended to bring “genuine independence” to all of Southeast Asia, were more immediate concerns. Even if some eyebrows were quietly raised at China’s actions in the SCS and over its 1979 “lesson” to Vietnam, differences could be set aside for another day. But once the clarity of the Cold War structure began to blur in the late 1980s, ASEAN unity loosened. Indonesia regarded itself as a privileged interlocutor with Vietnam and opened direct negotiations with Hanoi on a Cambodia settlement, barely paying lip-service to the common ASEAN position. After the Cold War, ASEAN’s limitations have become more salient. ASEAN’s expansion to include all ten states of Southeast Asia has made arriving at consensus more difficult. There was greater room for debate and disagreement over how to position an expanded ASEAN vis-à-vis China and the US; less incentive to reconcile national interests with regional interests. If ASEAN’s resistance to the Vietnamese occupation of Cambodia was the apotheosis of ASEAN’s regional security role, the unprecedented failure of the 45th ASEAN Foreign Minister’s Meeting in 2012 to issue a Joint Statement — due to the stubborn refusal of the Cambodian Chair to consider any text on the SCS that might in the slightest way offend Cambodia’s Chinese patron — was surely ASEAN’s nadir. Prime Minister Hun Sen subsequently described Cambodia’s support for China as a “strategic choice”. Since the fiasco in Cambodia, ASEAN has managed to cobble together statements of principle on the SCS. Statements are useful but only in a limited way. They represent the lowest common denominator of consensus but do not erase substantive differences of interest, modify behaviour or change facts on the ground. The SCS disputes place ASEAN in the midst of US-China competition. The US and China as well as other major powers acknowledge “ASEAN Centrality” and certainly give the appearance of courting ASEAN. I have lost count of the number of ASEAN-China Summits and other high level meetings with China. The US has held five Leaders-level meetings with ASEAN, of which the Sunnylands meeting in February this year is the latest and first standalone Summit. The US and China both now describe their relationship with ASEAN as “strategic”; the adjective lacks precise definition but is clearly intended to make us feel important. Since 2013, China’s “2+7 Cooperation Framework” has served as an ambitious and very generous blueprint for developing relations with ASEAN. The US is more strapped for cash than China but has done what it can to pony up as well. Before our heads are completely turned by the flowers and candy and public displays of affection, the reality of our situation will be clear if we remind ourselves that before “ASEAN Centrality” became our term of choice, we used to speak of “ASEAN being in the driver’s seat. The person in the driver’s seat is sometimes only the chauffeur. We should not allow the mantra of “ASEAN Centrality” mesmerise us into believing that we are in full control. The US and China use ASEAN-led multilateral forums as a secondary means of engaging each other. Their most important interactions are always going to be bilateral. It is of course nevertheless in our interest to encourage the US and China to participate in ASEAN forums. This gives us at least a soupcon of influence where we would otherwise have none. But it would be prudent not to forget that ASEAN is as much an arena as actor and ASEAN-led forums work best only when they do not work too well. The major powers then find them occasionally useful to advance their interests but are assured that they cannot frustrate their most vital designs. If any ASEAN process looks like becoming inconveniently effective, the major powers will not hesitate to divide ASEAN as China did in 2012. The most important factor in ASEAN-China relations is the obvious disparity of size and power. Small countries destined by geography to live on the periphery of big countries are always going to experience a degree of anxiety. Big countries have a responsibility to reassure which China has only partially fulfilled. This is not for want of trying or lack of instruments. Trade and investments are not just mutually beneficial commercial transactions but also juicy diplomatic carrots that Chinese diplomats dangle before ASEAN. Aid is a diplomatic tool that China has lavishly deployed, particularly in mainland Southeast Asia. Several ASEAN countries have readily accepted Chinese largesse and naturally it would be foolish for any country to scorn the economic opportunities that China offers. Taken in totality, ASEAN-China relations are positive. But how a big country deals with small countries over sovereignty disputes will always cast the darkest shadows over relations because the possibility of securing sovereignty by superior force can never be discounted and China has not shied away from doing so. It would be tedious to recount every instance of China’s use of force or unilateral assertions of sovereignty backed by the threat of force in the SCS. In 2012, China established Sansha City under Hainan Province with jurisdiction over the disputed Paracels and Spratlys Islands as well as Macclesfield Bank. The following year it promulgated the Hainan Fishing Regulations which was an assertion of domestic law over contested areas. China has since become more aggressive in enforcing what it considers its domestic rights in the SCS. Since 2013 China has begun an ambitious programme of land reclamation in the SCS, has constructed various kinds of structures on the new artificial islands and deployed military assets on some of them. China has argued that it was not the first to reclaim land or deploy military assets in the SCS. This may be true but is irrelevant. The speed and scope of China’s reclamation dwarfs anything any other claimant has done and the actions of a major power will always convey a different signature than that of small countries. China’s argument that the infrastructure it has built is a common good for the benefit of all users of the SCS hardly seems intended to be believed. China continues to engage ASEAN on a Code of Conduct (COC) for the SCS but in a barely convincing way. Progress has been glacial and Chinese diplomats often hold discussions on the COC hostage to ASEAN refraining from taking positions on the SCS that displease China. On occasion, Chinese diplomats even seem to have perversely gone out of their way to accentuate rather than assuage anxieties. Once after our Prime Minister spoke on the SCS at an ASEAN Summit, a senior Chinese diplomat told one of my younger colleagues that “silence is golden”. If he meant to suggest that we were not entitled to a view on an important issue that affects our interests, he only undermined the credibility of China’s claim to “peaceful development”. This was not an isolated incident nor has Singapore been particularly singled out. China routinely attempts to pressure ASEAN members, with varying degrees of success, not to raise the SCS in ASEAN-led forums or not to support other countries who do so. The general attitude that such attempts illustrate is not confined to the SCS issue but sometimes is on display even in seemingly trivial matters. Some years before I retired, one of my counterparts from an ASEAN country that was then holding the ASEAN Chair told me that the Chinese Ambassador to his country had forced him to shift an ASEAN leader attending a Summit out of a hotel that had already been allocated to that ASEAN delegation, so that then-Premier Wen Jiabao could stay there. The Ambassador insisted on this although the hotel allocated to Premier Wen was of equal quality. Did Premier Wen know where he was staying? Would he have cared if he had known? But the episode certainly left a deep impression on my counterpart and no doubt on the ASEAN delegation that was forced to move as well. I could go on recounting similar stories. Every ASEAN diplomat who has dealt with China has a fund of such anecdotes. But I think I have said enough to make the point. Chinese diplomats often profess bewilderment that China’s generosity towards ASEAN has not evoked gratitude or assuaged mistrust and pretend to ascribe this to malignant external influences. I do not think that Chinese diplomats are more inept or disingenuous than the diplomats of other countries. Their behaviour is I think better understood as illustrating the passive-aggressive style and the positing of false dilemmas to force acceptance of China’s inherent superiority as the natural normative order of East Asian international relations — or at least Southeast Asian international relations because I doubt that Japan will ever accept the Chinese notion of regional order — that I described as characteristic of Chinese diplomacy in my last lecture. Chinese diplomacy constantly hammers home the idea that if bilateral ties or ASEAN-China relations suffer because ASEAN stubbornly insists on speaking up on the SCS even when our mouths are stuffed with delicious Chinese cake or because the Chinese Premier has to stay in one hotel rather than another or if some date they propose for a meeting cannot be agreed because it is inconvenient for ASEAN, it is our fault and ours alone. China does not merely want consideration of its interests. China expects deference to its interests to be internalised by ASEAN members as a mode of thought; as not just a correct calculation of ASEAN interests vis-à-vis China but “correct thinking” which leads to “correct behaviour”. Foreign policy calculations are subject to continual revision; correct thinking is a permanent part of the sub-conscious. This differentiates Chinese diplomacy from the diplomacy of other major powers and represents a melding of Westphalian diplomatic practice with ancient Chinese statecraft. The very triviality of the behaviour China sometimes tries to impose underscores the cast of mind it seeks to embed in ASEAN through an almost Pavlovian process of conditioning. It does not always work. It can be counterproductive. But it works often enough and well enough with at least some ASEAN members for China to persist. Edward Luttwak has written of what he termed China’s “great power autism”. This is probably true but not peculiar to China — all great powers are to some degree “autistic” where their interests are concerned — but this is an inadequate explanation if “autism” implies lack of awareness. China is certainly aware of the cost of its actions. Significantly the first “2” in the “2+7 Framework” China set up for ASEAN-China relations is “deepening strategic mutual trust” which acknowledges the existence of a trust deficit. President Xi Jinping himself has emphasised the need to “increase mutual trust” with Southeast Asia, among other occasions in his speech at this university last year. This again suggests that he knows that the present level of trust is inadequate. ASEAN has begun to push back against China’s assertiveness. Some ASEAN claimants including Vietnam have moved closer to the US and Japan to balance China. At its last Summit with ASEAN, two out of three of China’s proposals — the cookies that China regularly doles out at such events — failed to gain acceptance and one was accepted only after delay. Indonesia, a non-claimant state, has expressed concern over the impact of China’s claims on its Exclusive Economic Zone (EEZ) in the Natunas and signalled its intention to deploy some of its most advanced military assets there. But whatever their concerns, there is a limit to which an ASEAN member can tilt towards the US. No one can ignore or shun China. Vietnam is the prime example. Quite apart from the SCS disputes, Vietnam has a long and troubled history with China, but a senior Vietnamese official once told me, “Every Vietnamese leader must be able to stand up to China and get along with China. If anyone thinks this cannot be done at the same time, he doesn’t deserve to be a leader”. That China and Vietnam are two out of only five remaining communist systems is an additional link. The current muddle in Malaysia over whether or not Chinese vessels had intruded into its waters – one Minister said yes but another contradicted him – perhaps illustrates the multiple and contradictory forces at play in ASEAN. In any case, whatever costs in relations with ASEAN that China may have to pay for its assertiveness in the SCS may not be considered unbearably high by Beijing as compared to the interests at stake. What are those interests? I doubt that control over resources of any kind figures very prominently in China’ calculations on the SCS. Resources could be shared without prejudice to claims of sovereignty as China has itself suggested, although its own actions do not make any such agreement likely in the immediate future. We can dismiss too the possibility that China is trying to strengthen its legal case. China does not even acknowledge that many areas contested by ASEAN claimants are in dispute. In his Singapore lecture President Xi categorically asserted that “The South China Sea islands have been China’s territory since ancient times.” Uncertainty over what China’s “9-dash line” signify has added to regional and international concerns. But China has said that it will not recognise the decisions of the Arbitral Tribunal on the case the Philippines brought against it under UNCLOS even though that would at least clarify the legal status of the “9-dash line”. Chinese diplomats have on occasion even argued that it is not in ASEAN’s interest that China should clarify its claims. I do not think that China considers the SCS disputes a legal matter, although it has on occasion employed the vocabulary of international law in support of its position. But that is not the same thing as recognising a legal dispute and it has not been consistent in doing so. As I pointed out in the last lecture, China has recently relied more on history to justify its claims. Military planners must prepare for all contingencies but I doubt that China’s actions in the SCS are primarily intended to gain military advantage vis-à-vis the US. In the event of a war with the US, the artificial islands and the military assets on them will be vaporised within minutes and will not affect the outcome in any significant way. In any case, as I argued in my last lecture, war between the US and China is highly improbable. Beijing has carefully kept each of its actions in the SCS below a threshold that would compel even the most reluctant of US administrations to respond kinetically. The US has made clear that while its alliance with Japan covers disputed islands in the East China Sea, the same does not apply to its alliance with the Philippines and disputed territories in the SCS. War in support of America’s principal East Asian ally, Japan, is credible even if unlikely; war over tiny islands, reefs and atolls would be absurd. Even in scenarios short of war, I doubt that China really considers the deployment of military assets on these artificial islands a serious deterrent to Freedom of Navigation Operations of the kind the US conducted last year and earlier this year. The US may become a little more cautious — it has never been reckless — but it will not stop operating in the SCS. Military assets that are unlikely to be used are at best a weak deterrent. If for example the People’s Liberation Army sinks a US naval vessel or shoots down a US military aircraft, the US will certainly retaliate. This will confront the Chinese leadership with a very invidious choice: a token or ineffectual response will expose the hollowness of the CCP’s legitimating narrative of having led the “Great Rejuvenation” of China which will at least complicate if not jeopardise the CCP’s hold on power; but escalation risks being forced to follow the highly jingoistic Chinese public opinion the CCP has cultivated down a path that Beijing does not really want to travel because it leads to the same outcome as the first choice. The Chinese leadership will strenuously avoid being placed in such a situation. China’s use of history to legitimate CCP rule and justify sovereignty claims gets us, I think, to the crux of the matter. For the past century the legitimacy of any Chinese government has depended on its ability to defend China’s sovereignty and preserve its borders. But what are those borders? Can the CCP meekly accept the borders imposed on a weak China that has now, to use Mao Zedong’s phrase, “stood up” under communist leadership? China is not reckless but the CCP must at least give the appearance of recovering lost territory. Revanchism is an intrinsic part of the story of China’s “Great Rejuvenation”. The lands lost to a weak China include what are now parts of Siberia and the Russian Far East, Mongolia, Hong Kong and Macau, Taiwan as well as the Paracels and Spratlys in the SCS. Siberia and the Russian Far East and Mongolia are now beyond recovery. Hong Kong and Macau reverted to Beijing’s rule almost 30 years ago. The US has made clear it will not support independence for Taiwan. Without US support, independence is impossible. With that core concern assuaged, Beijing can multiply the economic threads binding Taiwan to the mainland and bide its time, confident that irrespective of internal changes and how the people of Taiwan regard themselves, Taiwan’s long-term trajectory cannot run counter to China’s interest. Changing the status quo is not an immediate possibility but is no longer an urgent issue, although China still eyes Taiwan’s Democratic Progressive Party distrustfully and will never entirely forgo the option of forceful reunification. That leaves the SCS territories to put some credible shreds of meat on the bare bones of the CCP’s version of history as it navigates a second and more difficult phase of reforms and tries to manage social and labour unrest at a time of moderating growth and a future when slower growth will be China’s “new normal”. The very insignificance of the territories in dispute in the SCS may well be part of their attraction to Beijing for this essentially domestic political purpose. The costs and consequences of chest-thumping and acting tough in the SCS are minimal. Deterrence or its lack works both ways. If the Chinese cannot deter the US from operating in the SCS because the risks of doing so are too high to be credible, by the same token neither can the US deter or reverse Chinese activities in the SCS. China is not going to dig up the artificial islands it has constructed and throw the sand back into the sea or give up what it says was Chinese territory since “ancient times”. Critical statements by the US, Europe or other countries from around the world calling on China to respect international law — even Botswana has issued a statement on the SCS — can be brushed aside. On the SCS the only opinion that really matters to the CCP is that of its own people. In the SCS, the CCP can declare victory without taking unacceptable risks. It was also no accident that the deployment of surface-to-air missiles on Woody Island in the Paracels was revealed shortly after the conclusion of the US-ASEAN Sunnylands Summit. While the artificial islands are inconsequential in military terms, they are a potent reminder to ASEAN that China is a geographic fact whereas the US presence in the SCS is the consequence of a geopolitical calculation. This is an idea that China never tires of seeding in ways subtle or direct. The implications of this idea should not be exaggerated; nor can they be shrugged off as entirely invalid either. Until relatively recently, the US took a somewhat hands-off approach to disputes in the SCS. When China first clashed with ASEAN over Mischief Reef in 1995, it took some persuading to get the US to declare a position of principle. Moreover, it is I think, a geopolitical calculation, that despite all the media hullabaloo and tough talk including by the President himself, engages no US interest that is fundamentally irreconcilable with Chinese interests. American and Chinese interests are not symmetrical. The SCS is more important to China than to the US. If I am correct that the SCS issue is ultimately connected to the legitimacy of CCP rule, it is an existential issue for China; a “core interest” although China now denies it has applied that term to the SCS, no doubt in order to avoid unduly exciting us natives. The US takes no position on the merits of the various claims of sovereignty but defines its interests in terms of upholding international law and freedom of navigation (FON). These are important interests but not on the same level as the basic underlying Chinese interest. FON and the integrity of international law are certainly not existential interests threatening the survival of the American system. I doubt that they are even interests that the US must defend at all costs. China argues that it has never and will never interfere with FON. China’s position is not without credibility as far as merchant marine traffic is concerned because it too is a trading nation. The US riposte is that there is a fundamental difference between FON as a right enshrined in United Nations Conventions on the Law of the Sea (UNCLOS) and FON granted by the leave and favour of a major power, and that China’s disregard for international law with regard to its SCS claims casts doubt over its commitment to uphold FON. This is true. But what the US glosses over is that it is not party to UNCLOS and given the state of congressional politics, is not very likely to become party to UNCLOS in the foreseeable future. Instead, the US says it considers UNCLOS largely customary international law and abides by it on that basis. One does not have to be an extreme sceptic to suspect that this may be an ingeniously plausible way of misdirecting attention from the possibility that the US too upholds FON by its leave and favour: as a choice the US has made on the basis of a particular calculation of American national interests and not an obligation it must honour irrespective of whether calculations of interests change. It seems to me, for example, that some of the operational activities for the Proliferation Security Initiative that the US suggested after 9/11 — which included intercepting and searching vessels on the high seas — were significant derogations of FON as generally understood, abandoned only when other countries found them too much to swallow. I do not want to press the point too far. But it does not seem unreasonable to conclude that ultimately there may be less differences between the Chinese and American positions on FON than immediately meets the eye. A country may have more trust in one major power than the other, but this is a matter of preference not law. In strategic terms, the US wants to be able to operate in and through Southeast Asia and deploy its navy from its west coast through the Pacific to the Indian Ocean and Persian Gulf and back without impediment. This is an important interest, but is it a vital interest? Possibly. But who can stop it? This is a contingency that military planners must think about for extreme scenarios but is not particularly useful for understanding day-to-day international relations. In any case, to try to stop the US could be a cacus belli and China does not want to risk war. What remains are differences between the US and China over what military activities short of hostilities can legitimately be conducted outside territorial seas in a country’s Exclusive Economic Zone (EEZ). I wonder whether the current differences are less the result of fundamentally opposed concepts than they are a reflection of disparities in capabilities that one day will be narrowed. China has historically been primarily a land power but is now in the process of turning itself into a maritime power as well. The PLA Navy (PLAN) has begun to operate in distant waters, albeit still only sporadically. Of particular note for Southeast Asia were: China’s deployment of a surveillance ship off the coast of Hawaii during the RIMPAC exercise in 2014 (PLAN had participated by invitation in RIMPAC but the surveillance ship was not part of the exercise); a PLAN exercise the same year in the eastern Indian Ocean between Australia’s Christmas Island and Indonesia during which the Chinese Navy transited through the Sunda and Lombok Straits; and the transit of Chinese naval vessels through American territorial seas off Alaska in 2015. As capabilities converge so do concepts; as concepts converge so may interests. At present, the basic common interest of both the US and China in the SCS is to minimise the risk of conflict by accident while continuing to assert what each considers their rights. They have begun to elaborate codes of conduct for unplanned encounters at sea and in the air and implement them. This is of course good news and to be welcomed, but in the long run not necessarily entirely unequivocal good news. I argued that China is unlikely to be foolish enough to try and match US military capabilities in every theatre of operations but that it is probably inevitable that a more equal naval equation will eventually develop in the SCS. When this occurs we should not assume, given the fundamental asymmetry of US and Chinese interests in the SCS, that the modus vivendi they may then reach in Southeast Asia must necessarily be in ASEAN’s interests. Dealing with US-China competition is difficult but at least leaves open the possibility of manoeuvre. Dealing with US-China agreement — an implicit de facto agreement if not an explicit de jure agreement — may be even more uncomfortable. There will be less room to move and when major powers strike a deal they generally try to make lesser beings pay the price. Of course such an eventuality is still a long way off and indeed may never come to pass. But it would be prudent to look past the loud trading of accusations and counter-accusations by the two sides and the kind of analysis put out by the more excitable sort of media and academic commentator, and think about what may currently seem unthinkable. Before you dismiss the possibility of US-China collusion as a paranoid fantasy, understand that stranger things have happened. At the International Conference on what was then called Kampuchea held at the UN in 1981 the US took China’s side against ASEAN on whether or not the Khmer Rouge should return to power when the Vietnamese withdrew. ASEAN wanted elections but the US supported the return of a genocidal regime. Did any of you imagine that the US once had in effect supported genocide? The Assistant Secretary of State for East Asia at that time saw the relationship with China as the paramount US interest and even threatened the Singapore Foreign Minister at that time, S Dhanabalan, that there would be “blood on the floor” if we did not change our position. I hope the US understands that such concerns lurk not very far beneath the surface in East Asia where memories are long. Since the “Nixon shock” of 1972, Japan has periodically worried about being “passed” by its principal ally. If China has a responsibility to constantly reassure the small countries on its periphery, the US as “off-shore balancer” has a parallel responsibility and a more complex one. To the countries of Southeast Asia, the American porridge is always going to be too hot or too cold; countries will always fear the US entangling them in its quarrels with rivals or being left to deal with other major powers without adequate support. It will be difficult for the US to persuade us that the porridge is just right. Such are the burdens a Great Power must shoulder. But of late the US has itself added to these burdens. One such occasion was when a red line was drawn with a swaggering flourish, but then faded to pink and finally disappeared in the chaos of Syria. It was immensely damaging and will not be easily forgotten, particularly since I think the episode betrayed a certain mood in the American body politic that is on display in the on-going primary campaigns and will outlast the current administration. Modern Southeast Asian history can be understood as a quest for autonomy in which process the formation of ASEAN was a crucial step. But so can modern Chinese history also be understood as a search to restore the autonomy lost in the 19th century and early 20th century. ASEAN and China have no choice but to live with each other. We are not enemies but as I earlier argued, relations between big and small neighbours cannot but be uneasy. Where the balance of autonomies will be eventually struck between ASEAN and China is the central issue in the relationship that will in turn determine the extent to which the regional architecture remains open and inclusive. This is one aspect of the uncertainty and ambiguity that my first lecture argued are the most salient characteristics of the post-Cold War world. To reach and maintain an acceptable balance requires ASEAN to meet what I described in that lecture as the basic strategic challenge of our times: avoiding being forced into invidious choices and keeping open the maximum range of options. Meeting the challenge is as much an intellectual matter as it is one of politics, economics or military capability. The late Malcolm Fraser, a former Australian Prime Minister, wrote a book in which he argued that the alliance with the US had become a strategic liability for Australia. It is true that across East Asia, American friends and allies face something of a dichotomy between economic calculations of interest in which even a slower growing China looms large, and security calculations of interest in which the US will remain the key factor for the foreseeable future. Please note that I used the word “dichotomy” not “dilemma”. Trade and investment are not favours China bestows upon the region. China needs the region as much as the region needs China, and as my last lecture argued, the parameters of US-China competition are narrower and less stark than sometimes assumed. It is thus difficult but not impossible to balance the two sets of interests. But we cannot do so if we concede that a dilemma exists. To recognise a dilemma is to accept the very mental framework that Chinese diplomacy seeks to impose on the region and foreclose options. This was Fraser’s fundamental intellectual error that led to his entirely fallacious conclusion. If the former leader of a staunch US ally can fall into such a mental trap, how much more difficult will it be for a disparate group of countries to avoid doing so? But we should not adopt a fatalistic attitude because that is the essential trap. To recognise error is the first step in avoiding it. And we are not without some advantages. The small countries of Southeast Asia have lived in the midst of competition by larger powers for many centuries even before they were states in the modern sense of the term. To promiscuously and simultaneously balance, hedge and band-wagon is embedded in our foreign policy DNA. Not only do we not see any contradiction in doing so, this is an instinctive response honed by centuries of hard experience. But this instinct is today at some risk of being dulled in at least some members of ASEAN in whom the struthious delusions of ZOPFAN and SEANWFZ seem alive and well. We must recognise that the SCS is today the principal arena where complex mind games to condition mental frameworks in ASEAN members are underway. To take positions necessarily entails some risk. But to merely lie low and keep silent or only use words that are intended to be devoid of meaning on an issue as important as the SCS compromises autonomy, surrenders options and hence only invites greater risks. As I have earlier indicated, the most important of these mind-games relate to the US presence in the SCS. Unfortunately, China understands ASEAN better than the US and knows far better how to work with ASEAN, which is a polite way of saying manipulate our weaknesses: the proclivity to privilege form and woolly thinking on regional security. What the US knows or has learnt about ASEAN has to be largely relearnt every four years. Whatever its other virtues — and I must say they are not particularly evident so far during this election cycle — the American political system is something of a liability in Southeast Asia where its peculiarities are not as well understood as some Americans may believe and thus taken too seriously. In this respect, the Obama administration’s use of the metaphor of a “pivot” or “rebalance” to describe its approach towards the region was in my view inappropriate. A “pivot” swings in different directions; what “rebalances” one way could well move in another. The metaphor raises expectations that are almost bound to be disappointed because as the only global power, the US is always going to have responsibilities in other regions that it cannot ignore. What should have been emphasised instead was the essential continuity of the US presence in East Asia over many administrations of both parties. But the political imperative of distinguishing one administration’s policies from another even when the differences are minimal is in-built into the American political system and we will just have to live with it. Some commentators seem to regard a US-led Trans-Pacific Partnership (TPP) as part of an American containment strategy and in competition with a China-led Regional Comprehensive Economic Partnership (RCEP) that is, presumably, a Chinese break-out response to the TPP. This is arrant rubbish. All the East Asian members of the TPP are also in the RECEP and some have bilateral FTAs with both China and the US. I spent a considerable part of my last lecture describing US-China interdependence and why it is as impossible for the US to contain China as it is for China to completely displace the US from East Asia. What is at stake is not whether it will be an American Southeast Asia or a Chinese Southeast Asia but where the balance of relative influence will lie and whether the regional architecture will be relatively open or relatively exclusive, and I stress the word “relative”. Of course, even slight shifts in the balance of influence in the regional environment can make a major difference to small countries. The many projects planned or being implemented under the ASEAN-China “2+7 Cooperation Framework”, China’s investments in infrastructure such as railroads under President Xi Jinping’s vision of “One Belt, One Road”, as well as burgeoning trade and other economic ties are binding southwest China and Southeast Asia into one economic space. This is certainly a development opportunity that is not to be rejected. But as national boundaries become hazy, old historical patterns are being re-established in new ways and Westphalian concepts of inter-state relations may be modified. There surely will be political and strategic and not just economic implications. The framework within which we calculate our interests could narrow. This is the geopolitical significance of the ASEAN Economic Community. Economic integration is an imperative not just for economic reasons but to encourage calculations of national interests by ASEAN member states with our own frameworks rather than become overly dependent on Chinese frameworks. But economic integration is always politically difficult and the next phase of ASEAN economic integration which aims at establishing a common market and production platform will be more complicated than the first. The easy things have already been done. The domestic politics of ASEAN members is becoming more uncertain. Thailand and Malaysia are poised on the cusp of systemic change. Indonesia has yet to reach a stable post-Suharto internal equilibrium and is still an incoherent system seized with a somewhat petulant economic nationalism. There is significant uncertainty about the policies of the new Myanmar government because it has no experience of governance and the military apart, inherits weak institutions. 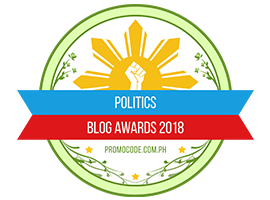 The Philippines has Presidential elections in a few months and is not renowned for policy continuity. I sense buyer’s remorse in Laos and Cambodia over the present level of integration commitments. In Singapore, some opposition parties are trying to cast doubt over open economic policies particularly with regard to foreign labour. In any case, we should not deceive ourselves that even under ideal circumstances for integration — and our circumstance are far from ideal — ASEAN can adequately cope alone. This is particularly true in mainland Southeast Asia. To give but one example, China has built seven dams in the upper reaches of the Mekong River and reportedly plans 21 more. This is a permanent new geopolitical fact, analogous to artificial islands in the SCS, which the five ASEAN members through which the Mekong flows cannot ignore. Recently China announced that to relieve drought in Thailand, Laos and Cambodia, it would release more water from its dams on the Mekong. There is an old Chinese proverb: “When drinking water, think of the source”. Balance at sea must be matched by balance on land. The US Lower Mekong Initiative is a useful political symbol of commitment but substantively paltry by comparison to what China has put on the table and symbols only take you so far. What Japan has initiated for infrastructure development in Southeast Asia is far more substantive and significant. But unlike balance at sea, to reach balance on land will take more than the efforts of one or two countries. I believe there is a need for a broader and more coordinated effort for infrastructure development projects in mainland Southeast Asia. One possibility is public-private partnerships by multinational consortiums of companies from the US, Japan, Australia, the ROK and India. This would considerably broaden the range of options for mainland Southeast Asia, prevent the entrenchment of a fatalistic mind-set and serve as a crucial complement to the maritime capability building programmes some of these countries have started for ASEAN. Chinese participation in such consortiums is not to be ruled out. As China’s growth moderates, there will be many demands on state coffers and the scale and ambition of what China has planned cannot be undertaken by China alone as Beijing itself realises. This was the rationale for the Asian Infrastructure Investment Bank (AIIB) and it was a strategic mistake for the US and Japan to have stayed out of it. Fortunately it is not an irreversible mistake. Collaboration with China by US and its allies in the AIIB for infrastructure development is desirable to take the starkest zero-sum edges off strategic competition in Southeast Asia and perhaps expose false dilemmas as just that: false. Posted in ASEAN, ASEAN Economic Community, China, Defence-Security, Diplomacy, Foreign Policy, Geo-Politics, Global Issues, Regionalism, Singapore, South China Sea Dsipute, US-China Relations. INTERVIEW: Very few Malaysians can say they have they lived up to the second part of the famous John F Kennedy quote “ask not what your country can do for you, ask what you can do for your country” as DAP supremo Lim Kit Siang has. After decades of wrestling with his political adversary, former Prime Minister Dr Mahathir Mohamad, for the soul of Malaysians after years of being on the receiving end of the all-encompassing power of the Umno state, the honourable gentleman from Gelang Patah, found himself part of a joint declaration along with Mahathir, calling for the ouster of Prime Minister Najib Abdul Razak. While the DAP has enjoyed a political resurgence with a newly awakened electorate, the long struggle against the UMNO state has not diminished the enthusiasm and vigour of one the few people who can credibly claim title to elder statesmanship. Here in two parts, Lim Kit Siang, explains what is at stake when it comes to the machinations of the Najib state, boldly answers questions from a sceptic (the writer) and reminds Malaysians that while we must never excuse the sins of the past, we can move beyond them. Does “saving Malaysia” mean “saving UMNO”, because Mahathir has made it clear that his agenda is to save UMNO from Najib? Interestingly, I issued a statement in Abu Dhabi on April 19, 2015 en route back to Malaysia after a DAP MPs fact-finding visit to Jordan and Egypt, where I differentiated between the “Save Malaysia”, “Save UMNO” and “Save Najib” concepts. “When I said in my speech to Malaysian students in Alexandria on Friday that I am prepared to work with Mahathir on the ‘Save Malaysia’ agenda, I was not thinking of ‘Save UMNO’ or ‘Save Najib’. “In fact, there is nothing for me to work with Mahathir or anyone else as far as ‘Save UMNO’ or ‘Save Najib’ is concerned, as UMNO is an incorrigible party set in the ways of money politics and abuses of power, and the greatest contribution UMNO can make to the healthy development of democratic politics and Malaysian nation-building is for UMNO to go into the opposition benches to allow Malaysia to become a normal democratic country where the transition of power from one political coalition to another is not regarded as a national catastrophe but a necessary rite of passage from a country to graduate to become a normal democracy. “I stand by what I said to Malaysian students in Alexandria that the focus of the present must be unwaveringly to ‘Save Malaysia’ from the present roller-coaster policies which threaten to plunge Malaysia down the slippery slope, whether in nation-building, politics, economics, education or other aspects of national life, to that of a ‘failed state’. As far as I am concerned, “Save Malaysia” means saving the country, and not an individual, be he Prime Minister Najib Razak or a particular party, be it UMNO. How can meaningful reforms be carried out by anyone who has Mahathir’s imprimatur? When Mahathir suggested that political and civil society leaders gather to sign and proclaim the Citizens’ Declaration to Save Malaysia, his first draft focused on concerns over the deteriorating political, economic and social conditions in the country and the damage done to the country under Najib’s premiership, in particular by the RM55 billion 1MDB and RM2.6 billion “donation” twin mega scandals. However, as the problem is not just about the man but also the system, Mahathir agreed that apart from Najib’s resignation there would also be “much-needed democratic and institutional reforms” to restore the important principle of the separation of powers among the executive, legislature and judiciary and ensure the independence, credibility, professionalism and integrity of our national institutions. This was highlighted in the last paragraph of the 37-paragraph Citizens’ Declaration, which has to be elaborated in the second step of a national consensus. The original 42 signatories to the Save Malaysia Citizens’ Declaration, as well as all citizens I hope will endorse the Citizens’ Declaration, have our separate political and national agendas – but the salvation of Malaysia lies in our ability to agree on a core common agenda to save Malaysia, and to enlarge this core common agenda. Could you describe the processes which led to the declaration and what was your reaction to potentially working with your long-time political adversary? The country has reached a historic watershed where Malaysians must rise above racial, religious, regional and political differences to take a united stand on a common national agenda – to save Malaysia from hurtling down the slippery slope of a failed and a rogue state. There have been historic examples, both international and in our country – from Mao Zedong and Chiang Kai Shek forming a common front to fight a bigger common enemy in China, to the United States President Franklin Roosevelt, British Prime Minister Winston Churchill and Russian dictator Stalin uniting to fight Germany’s Hitler in the Second World War, or the British colonialists teaming up with the Malayan communists under Chin Peng in the Malayan jungles through Force 136 during the Japanese Occupation. What the Citizens’ Declaration to Save Malaysia sought to do is to spark off a national movement involving the unity all Malaysians, regardless of race, religion, region or politics to save Malaysia – the highest form of patriotism at this time. You have said that we can’t undo the past. But how do we secure a future with someone who has been the cause of much of the damage of in the past, who has refused to even acknowledge the role he played, in destabilising our public institutions? The March 4, 2016 Citizens’ Declaration is not Mahathir or Lim Kit Siang’s declaration – it is a declaration by citizens of Malaysia, regardless of race, religion, region or politics to save Malaysia. The historic and unprecedented gathering on March 4 to sign and proclaim the Citizens’ Declaration is not about Mahathir or Lim Kit Siang, Muhyiddin Yassin or Mohamad Sabu or Ambiga Sreenivasan, but about 30 million Malaysians, their hopes, aspirations, dream and future. How do you counter the perception that this declaration gives legitimacy to Mahathir and his decades long rule of Malaysia? The declaration is a statement about the future as to how Malaysians can unite at present on a common platform to save Malaysia, not a judgement or verdict of the events of the past. The question of legitimatising or criminalising any individual or event in the past does not arise. I am aware that questions have been asked as to how Lim Kit Siang and Mahathir can sit on the same table, considering the decades of differences and Mahathir’s responsibility in sending me and Guan Eng into incarceration, twice not once in Guan Eng’s case. In my 50 years of politics, I have been accused of all sorts of things – of being a Chinese chauvinist; communist; cause of the May 13, 1969 riots; anti-Malay, anti-Islam, all completely baseless and pure defamation. For my joint appearance with Mahathir for the March 4, 2016 Save Malaysia Citizens’ Declaration, I have been accused of being Mahahtir’s puppet and Mahathir accused of being my puppet.I am used to all these epithets and abuses, but it must be the first time that Mahathir is being accused of being my puppet. I am no puppet of Mahathir, just as Mahathir is no puppet of mine. It was not easy for me to appear on the same table with him just as it was not easy for Mahathir to appear on the same table with me. This is a testimony of the exceptional times we are in, where Malaysian patriots must rise above their differences to reach an accord in the higher national interest, which is why the March 4 Citizens’ Declaration marks a historic watershed in Malaysia’s political development. Although there seems to be a cautious optimism amongst the general vote base of the opposition, what do you think of the scepticism from certain quarters of civil society with regards to this declaration? I can understand such reservations and even skepticism.I can imagine similar debates before the Chinese Communist Party and the Chinese Kuomintang decided on a united front against the Japanese invaders in China, or in the capitals of Washington, London and Moscow before the conclusion of the “Grand Alliance” of the Big Three against Nazi Germany or by the British colonialists who had retreated to India during the Japanese Occupation and the Malayan Communist Party in the jungles before they cemented their operation and the infiltration of Force 136. I believe many of the signatories also have doubts and reservations about whether what they had embarked upon will lead to success.For the sake of saving Malaysia, it is better to have tried and failed than never to try at all. If Najib carries out another Operation Lallang, do you think that politically the opposition can survive? I was detained under the Internal Security Act (ISA) twice, first time for 17 months in 1969 after my first election as member of parliament for Bandar Melaka and the May 13, 1969 riots in Kuala Lumpur and second time, under Operation Lallang for 18 months. Although the iniquitous ISA has been repealed, the country appears to be heading to a new period of repression with new draconian legislative measures likely to be presented in the current meeting of Parliament, with new draconian provisions and increased penalties for offences under the Official Secrets Act, Sedition Act as well as giving the Prime Minister dictatorial powers to virtually declare emergency in the country without checks and balances from the Yang di-Pertuan Agong and Parliament. While we must stay vigilant to safeguard our fundamental liberties entrenched in the Constitution and not allow these human rights to be diluted or taken away in any manner under any circumstances, we know that we are in situation where we must be prepared for the worst and hope for the best. The acts of repression, oppression and persecution have been the game of Barisan Nasional in their effort to maintain power. And as I mentioned, I too am a victim of the vicious ISA, and even the Sedition Act. But whatever bad things done to the opposition, we have always come back stronger, with the people’ support. This is the magnitude of the task and challenge confronting Pakatan Harapan. How does the DAP counter the perception that their efforts to reach out to the Malay community is not an attempt to subvert “Malay” political control and do you think that compromising on core secular values to court the Malay vote is in the long run detrimental to the progressive agenda of the DAP? There are two dangerous fallacies played up by some UMNO leaders and their cybertroopers. Firstly, that the defeat of UMNO in the next general election will result in Malay losing political power in country, and secondly, the defeat of UMNO will result in the defeat of Islam in Malaysia. Pakatan Harapan will ensure that the defeat of UMNO will not be a threat or disaster for Malays or Islam, or for that matter, for any race or religion in the country. Will UMNO’s electoral loss in the 14th General Election be such an unmitigated disaster than it will end in UMNO’s demise? I do not believe UMNO is in such a terminal stage of political cancer that it will die and can never recover if it loses the 14th General Election. Both DAP and our Pakatan Harapan partners have been explaining the issue in all our ceramahs and forums, and our views are disseminated through our respective party publications. On the question of compromise, let me reiterate the fact that people support DAP because they believe we can lead them to a better Malaysia. However, we cannot lead them to a better Malaysia unless we are a part of a coalition to be able to govern, formulate and implement policies for the whole country. We are in need of change and we must dare to reach out, and to do that, we must dare to transform the DAP into a truly Malaysian party, with the support of all Malaysians, including Malays, Ibans and Kadazans as well as Chinese and Indians. Nobody is suggesting that we betray or compromise or sell out our principles, ideals and objectives. What we need to change drastically is our modus operandi, and not our ideals and principles, to be more inclusive to appeal to all Malaysians. We have always been a constitutional secular social democratic party fighting for all Malaysians based on the fundamentals of freedom, justice and solidarity. INTERVIEW: This is the second part of an interview with DAP leader Lim Kit Siang on why he is willing to work with his nemesis, former Premier Tun Dr. Mahathir Mohamad, in the ‘Save Malaysia’ campaign.The first part appeared yesterday. DAP has always struggled with the perception and UMNO propaganda that it is a “Chinese” entity. Do you think that the DAP has made some missteps that gives credence to this perception? DAP had never aspired to be a Chinese or non-Malay party. Right from the beginning during DAP’s formation in 1966, DAP had pledged itself to pursue a Malaysian Dream, not a Chinese Dream, an Indian Dream or a Malay Dream. This is why DAP is the first political party in the country to be Pan-Malaysian, establishing branches in Sarawak and Sabah before any other political party in the country. All through the past five decades, DAP had been accused of being anti-Malay and anti-Islam by UMNO, because of UMNO fear that the DAP will be able to make inroads into UMNO spheres of influence with our Malaysian political appeal, transcending race, religion or region. No political party seeking support from all Malaysians can be anti-Malay or anti-Islam, or for that matter, anti-Chinese, anti-Indian, anti-Dayak, anti-Kadazandusun or anti-Buddhism, anti-Christianity, anti-Hindiuism or anti-Sikhism. The battle against such lies and falsehoods had been a particularly uphill battle for the DAP because we had to face the full onslaught of the UMNO juggernaut with its control and ownership of the mass media, particularly in the era before the advent of Internet, news portals and the social media. However difficult the terrain, DAP had never wavered from our objectives and principles that the DAP had been formed not to fight for any one race but for all races and Malaysians in the country! This is why right from the beginning, starting from the first general election in 1969 contested by the DAP, the party had always put up a multi-racial and multi-religious slate of candidates. In fact, in the 1969 general election, two Malay state assemblymen were elected, one in Perak and the other in Negri Sembilan. In the past 11 general elections, DAP had elected Malay members of parliament and state assembly representatives in peninsular Malaysia. In the 2013 general election, we elected a Kadazan state assemblyman in Sabah and we look forward to the election of the first Dayak state assembly representative in the forthcoming Sarawak state general election. As in the 1969 general election, DAP has now more Indian MPs than MIC. It is because of the DAP that there is an Indian Deputy Chief Minister in Penang and the first Indian speaker in the Perak state assembly after the 2008 general election. All these precedents and breakthroughs are testimony that DAP had never aspired to be a Chinese or non-Malay party.DAP does not apologise for its objective and commitment to be a party representing Malaysians regardless of race, religion or region – whether Chinese, Indians, Malays, Ibans, Kadazans or Orang Asli.It has not been an easy road in a country where the politics of race and the politics religion have played such a dominant role in the Malaysian politics. Where does pragmatism end and political opportunism begin? There can be no room for opportunism as principles and ideals cannot be compromised, but the tactics and strategies to “Save Malaysia” from hurtling towards a failed and a rogue state must be pragmatic and flexible. After the acrimonious split with PAS, is there a lesson to be learnt on the folly of engaging with an Islamic party and if so, how could this be applied with DAP’s political alliance with Parti Amanah? Political Islam is a reality we must live with, whether in Malaysia or the world, and I do not agree that it is folly to engage with an Islamic party. The split with PAS and the rupture of Pakatan Rakyat is not because PAS is an Islamic party, but because it has failed to honour its compact on the Common Policy Framework and the consensus operational principle reached when Pakatan Rakyat was formed. The political alliance with Parti Amanah Negara in Pakatan Harapan is fully justified if the component coalition parties can learn the lesson from the rupture of Pakatan Rakyat, that any political coalition is only viable and sustainable if the component parties of the coalition abide by the common policy programmes agreed among them, for there is no other basis for a genuine political coalition of equals to succeed. Pro-establishment bloggers and news portals have demonised the DAP as a pro-Christian political force. Do you think that religion has a role to play in the political discourse and if so, how does one maintain the balance in pursuit of a secular society? The majority of DAP leaders and members are not Christians. How can DAP become a pro-Christian political force? This is why the allegation of UMNO-BN propagandists and cybertroopers that DAP wants to create a Christian Malaysia is even more bizarre and ridiculous. Right from the very beginning, the DAP stand is clear and unequivocal that we fully accept and respect the fundamental constitutional provision of Islam as the official religion while other religions can be practiced peacefully anywhere in the country. The stand taken by the DAP, that Malaysia is a secular state with Islam as the official religion, is the same and consistent with the public positions taken by the first three Prime Ministers of Malaysia, Tunku Abdul Rahman, Razak Hussein and Hussein Onn. Is it seriously suggested that the first three Prime Ministers of Malaysia were enemies of Islam because they uphold Malaysia as secular nation, which does not mean anti-Islam or anti any religion but respect for all religions? When you said you would even work with Prime Minister Najib Razak if he was serious in reforms, you received much public opprobrium. I took that particular statement as a sign of that you were willing to work with anyone to save the country but more importantly as a sign of frustration. After decades in the forefront advocating change, how frustrated are you with the direction this country is headed in? I had clarified in Padang Besar why I said in Sungai Petani on March 12 that I was prepared even to work with Najib to save Malaysia. I said in Sungai Petani that I believe that the overwhelming majority of Malaysians, regardless of race, religion, race or politics, love this country and can subordinate self-interest to national interests and support a Save Malaysia campaign to stop the country hurtling down the slippery slope towards a failed and a rogue state. I listed some of the things which Najib should do if he is to come on board the “Save Malaysia” campaign, like freeing Anwar Ibrahim and restore to him all his political rights and civic enfranchisement so as to fully participate in a national consultative process on the democratic and institutional reforms necessary to restore national and international confidence in Malaysia; an independent and credible royal commission of inquiry to carry out comprehensive and far-reaching investigations into Najib’s twin mega scandals; halt the lurch towards dictatorial trends by withdrawing all draconian legislative proposals, including proposed amendments to the Official Secrets Act, the Sedition Act, the Penal Code and the Printing Presses and Publications Act, the withdrawal of the National Security Council Bill, and the withdrawal of all charges and investigations against opposition and civil society leaders under a variety of repressive and undemocratic laws; and the immediate suspension of the Goods and Services Tax (GST), and end wasteful government expenditures and corrupt practices. I believe there will be many Malaysians who will agree that with some of these initiatives, Najib will qualify to come on board the “Save Malaysia” campaign. I do not think I am the only one frustrated and even exasperated with the direction this country is headed to, which is why the Citizens’ Declaration to Save Malaysia deserves full public support to give it a chance to succeed. Penang Chief Minister Lim Guan Eng is currently facing in my opinion a politically motivated witch-hunt regarding the purchase of his house. Do you see this as a prelude to more insidious manoeuvrings to cripple the opposition? Yes, to distract public attention from Najib’s twin mega scandals, which are virtually making headlines all over the world and completely beyond the control of Najib’s minders and the impact of the Citizens’ Declaration to Save Malaysia. From the television time and the newspaper space given to the issue of Guan Eng’s bungalow, the government and UMNO-BN media, without being able to show that there is any element of corruption, are creating the impression that the allegation about Guan Eng’s RM2.8 million bungalow issue is 1,000 times more serious than the worldwide allegations about Najib’s RM2.6 billion “donation” scandal. There is a general perception that the DAP cannot accept legitimate criticism without deflecting or engaging in victimhood. Do you think this perception is justified? I do not think DAP leaders have any objection to legitimate criticism. If there are DAP leaders who bristle over legitimate criticism, they have to learn to live with it as an integral part of a democratic society.Our problem is baseless and biased criticism stemming from dishonourable agendas, and this seems to be a season for them. I have been criticised for things I had not said, and this appeared in what was until recently a reputable media. What is one to make of such scurrilous attacks passing off as legitimate criticism? How do we nurture a more productive form of discourse with BN supporters when UMNO is using the instruments of the state to neutralise the opposition? Although UMNOO leaders are demonising DAP in their attempt to portray DAP as its “main enemy”, it doesn’t mean DAP and Pakatan Harapan will not respond in kind to such attacks. DAP does not regard those three million Umno members as “enemies” but only as Malaysians with different political inclinations. We are always prepared to engage with them for the common purpose and objective to save the nation and all Malaysians comprising different races and religions. It was for that reason alone we agreed to the Citizens’ Declaration. I know it is tough to even engage with UMNO leaders and members to discuss on such matter because their top leadership would never allow such meetings. Yet if we can promote the campaign on the declaration and efforts to save Malaysia, I believe that would be one of the many ways to engage with UMNO and Barisan supporters, even when Umno leadership is using the state apparatus. We know that the top UMNO leadership is afraid of DAP because UMNO is losing support of Malays and Muslims as it is not prepared to stop the rampant corruption and injustices of its policies, like Najib’s RM2.6 billion and RM50 billion 1MDB twin mega scandals. What do you think the consequences would be if the agenda to remove Najib fails? The Citizens’ Declaration is work-in-progress to save Malaysia. Nobody is so naïve to believe that just because 42 political and civil society leaders can bridge the political divide to reach consensus on the Citizens’ Declaration on March 4, Najib will heed the call of the Citizens’ Declaration and will resign the very next day. The journey to save Malaysia is going to be a long, arduous and most challenging one. There is no game plan. We have to take one step at a time. I favour the Chinese saying “mo zhe shi tou gua he” or “cross the river by groping the stone under foot” to describe the approach we have to take to carry out the challenging mission to “Save Malaysia”. We must be prepared for the long haul. This sounds rather odd coming from a 75-year-old, who does not have many active years left. But the message and task of “Save Malaysia” must be borne particularly by the young generation of Malaysians because we are a youthful nation. I, therefore, call on all young Malaysians to step forward to take over the baton to save Malaysia from becoming a failed and a rogue state. Posted in 1MDB Financial Scandal, civil society issues, Corruption, DAP, Democracy, Freedom, Governance, History, Human Rights, Islam Malaysia, Justice, Leadership, Najib Razak, National Unity, Pakatan Harapan, Politics, Race Relations, Rule of Law, Security, The Malays, Tun Dr Mahathir Mohamad, UMNO. Thailand, for all its political stops and starts — or perhaps because of this — has unparalleled publically-engaged academics. Nidthi Eoseewong, Charnvit Kasetsiri, Thanet Aphornsuvan and many others relate academia to public life, pushing forward public discussion in a way that is enviable from a country (the USA, in my case) where scholarship is too often treated like either a business serving students or as a collection of irrelevant exotica. Of Thailand’s public intellectuals, Chayan Vaddhanaphuti of Chiang Mai University looms large. Over the course of his career, Achan Chayan has worked to advocate for minority rights (risking death threats and accusations of treason) as well as building networks across Southeast Asian academic institutions. He exemplifies the best qualities of a Thai public intellectual, and thus it is no surprise that the essays in the liber amicorum, Scholarship and Engagement in Mainland Southeast Asia, edited by Oscar Salemink, are ringing with fond memories and praise for Achan Chayan across generations of scholars. Indeed, it is telling that even non-Thai-speaking scholars refer to Chayan as “Achan,” the Thai term somehow capturing this sense of Chayan’s public role in ways that “Professor” nowadays fails to. My engagement with Achan Chayan came 10 years ago, when I was a graduate student doing field research in Chiang Mai. Like the best of mentors, Chayan, rather than imposing his own idea of what was important about my project, helped me think critically about my own work in multiple ways. As Michael Herzfeld remarks in his conclusion to Scholarship and Engagement, it was only later, after having completed my book, that I realised the depth of Chayan’s inspiration. Overall, the volume is well put together, although a few essays ramble, and could have used another pass to refine and sharpen their general points. The book’s three sub-sections, too, are awkwardly titled. For example, “Politics, Activism, and Cross-Border Politics in the Greater Mekong Subregion” is the second, and “Scholarly Activism in the Greater Mekong Subregion” the third. These sections roughly correspond to an overview of Chayan’s work, its impact upon historical and anthropological work, and the thorny issues surrounding policy and minorities. Charles Keyes opens the volume with the first section’s solo chapter: a brief biography of Chayan’s work and its impact upon Thailand and Thai studies. In an era when most work on ethnic minority issues was done by foreigners, and in the face of pressure from official state organs, Chayan pursued a principle of “speak[ing] truth to power” (p 17), pushing for a vision of Northern Thailand as a multi-ethnic and environmentally sustainable society with links across the region. It was a work that, as Keyes notes, was not without risk, and his chapter empahsises the personal commitment that Chayan gave to his causes. In the second section, Olivier Evrard gives an example of socially-engaged history of the sort inspired by Chayan. Looking at French and Siamese records, Evrard charts the changing status of Khmu migrant labourers in the early 20th century. At first, these workers were governed by treaties between Luang Prabang and Chiang Mai, but as colonisation set in (external in the case of Laos, internal in the case of Siam), old relationships and networks became something else from the viewpoint of the central state: labor recruiters became traffickers, and migrant teak workers turned into a threat. Evrard reminds us that migrants, as a category, are in fact created by state policy. 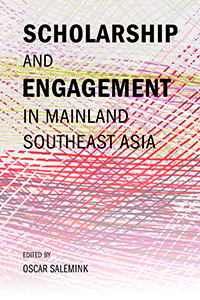 This theme of the mismatch between detailed awareness of local situations and top-down policy returns in Christopher Joll’s chapter on Thai policy-makers’ essentialist understandings of the conflict in the South as compared with a multi-causal approach of the sort emphasised in Chayan’s work. Shigeharu Tanabe’s chapter also deals with the issue of social engagement, looking at Northern Thai Buddhist meditation practices aimed at extinguishing the self that nonetheless provide a vehicle for addressing social problems and resisting political repression. It’s a welcome rebuttal to too-simplistic characterisations of Buddhist meditation as entirely inwardly-focused (Tanabe takes a well-placed jab at Deleuze here) and shows how practice, especially in the Northern kuba tradition, can be focused on social as well as personal transformation. Katherine Bowie’s chapter takes a very different turn to more historically-focused studies, focusing instead upon her own experience of engaged scholarship in the 1970s. In an account reminiscent of classic anthropological fieldwork memoirs (see Powdermaker 1966; Levi-Strauss 1955,;Descola 1996), she describes a problematic introduction into a post-military coup Northern Thai field site and the tangled web of village politics that she encountered. As she attempted to assist in the organisation of a mat-weavers’ cooperative, class and other tensions within the community came to the fore in ways that were productive both for her scholarship as well as – eventually — the mat weavers themselves. In the final major section, contributors address the thorny ground of development interventions, which too often avoid a deep engagement with local civil societies. Rosalia Sciortino, the former regional director for the Rockefeller Foundation (among others), effectively shows that theory is not divorced from practice even on the development side. This was particularly so during the 1990s when new technocratic interventions (the sort of thing dreamed up in TED Talks or Thomas Friedman columns) based around quick solutions and neoliberal integration came to replace civil society-based, locally-informed ones. This philosophy of intervention oddly recalls those from the 1950s that fetishised the power of Western scientific knowledge to divine all of the solutions to the developing world’s problems. Similarly, in Ronald Renard’s contribution, we also see the fallout from a move in policy away from community-based solutions. He looks at the end of opium eradication projects in the isolated Wa region of Myanmar that emphasisedthe social origins of opium cultivation and addiction solutions focused on improving conditions for farmers, and the rise of a new, top-down approach that focuses upon law enforcement. Building upon this connection between the assumptions of international (and national) organisations about local communities, Oscar Salemink’s own contribution to the volume examines the issues surrounding Intangible Cultural Heritage (ICH) in Vietnam. Salemink argues that the discourse of ICH in Vietnam creates certain possibilities and limits others, giving ethnic minorities a space within the state but limiting their role (and, interestingly, forcing the state to promote practices that they had just a few years before denounced). But this also applies to scholars — in a state where open opposition is unproductive or impossible, Salemink argues that scholars are forced to work within the limits of state discourses. In Myanmar, however, Mandy Sadan shows how both state and resistant approaches carry their own risks. State discourses that present minority studies as “traditional” and (Kachin) minority studies dominated by the Baptist Church and ethnonationalism both fail. As a corrective, Sadan advocates for an as-yet unrealised middle ground along the lines of Chayan’s Regional Center for Social Science and Sustainable Development (RCSD) for the highlands of Myanmar. Overall, these essays are largely productive in looking at the history and potentiality of engaged scholarship on (for the most part) ethnic minority issues in mainland Southeast Asia, a note driven home by Michael Herzfeld’s excellently-written conclusion. Some essays (Evrard, Tanabe, Saelmink) are useful additions to the scholarly field in their own right. Others (Sciortino, Sadan) are interesting insights into the deeply hierarchical nature of national and international interventions, and some (Joll, Keyes, Bowie) reflect implicitly or directly upon Achan Chayan’s own profound impact on scholarship in Southeast Asia. In addition to the topical focus of each chapter, the book will be of use to those studying activism, development, or fieldwork ethics in the region and beyond. Posted in ASEAN, ASEAN Economic Community, Book Review, Books, civil society issues, Democracy, Geo-Politics, Global Issues, Governance, Human Rights, Politics, Public Policy, Security, Social Policy, Thailand. Japan constitutes a critical component of Prime Minister Narendra Modi’s Act East Policy. Beyond strategic congruence and coordination in Asia, the role of Japan in facilitating Modi’s economic development agenda is indispensable. As Modi envisions India’s ascent in the international order, the need to strengthen the economic foundation takes precedence. Demonstrating his pragmatic leadership, Modi has articulated several national campaigns including ‘Make in India’, ‘Skill India’, ‘Smart Cities’ and ‘Digital India’. Japan’s support for the success of each of these initiatives is crucial. India began courting Japan primarily to source capital for investment in infrastructure, accessing civil nuclear technology, and securing the supply of high-end defense technology. The two countries redefined the contours of bilateral defense cooperation with the December 2015 Agreement Concerning Transfer of Defence Equipment and Technology Cooperation. India’s defense modernization offers colossal opportunities for Japanese industry, which since 2014 is exploring the benefits of eased arms export regulations. Beyond the scope of joint-development of defense technologies, Japan fits well with Modi’s larger goal to make India a center of global manufacturing. Modi’s ‘Make in India’ initiative intersects with Prime Minister Abe’s ‘Partnership for Quality Infrastructure Investment for Asia’s Future’. To facilitate manufacturing, Modi aims to undo hurdles in conducting business, develop necessary infrastructure, and boost the investment climate in India. In this regard, the footprint of Japanese ODA is expanding in Indian infrastructure sectors including high-speed rail, industrial corridors, and urban mass rapid transport systems. Meanwhile, Abenomics is striving to reinvigorate the Japanese economy by benefitting from the growth of the emerging economies. India will continue to be one of the fastest growing economies with a promising market. Japan being a capital rich nation with an aging population and India being a capital poor nation with rich demographic dividends and inexpensive labor compensation underscores the mutuality of economic interests. Building quality infrastructure and nurturing manufacturing industries is Modi’s priority. While Japan has an international reputation for manufacturing excellence, one of the challenges in the economic profile of this relationship is the limited Japanese manufacturing presence in India. To ease the impediments Japanese firms navigate through while operating in India, Modi institutionalized ‘Japan Plus’, a special management team to accelerate investments from Japan. Advancing industrial networks and regional value chains must be a priority. Japanese corporations are key actors in East Asian production networks but India is yet to significantly feature in them. Robust infrastructure enhancing connectivity between India and the Indo-Pacific region is important for strengthening economic opportunities and meaningfully advancing ‘Make in India’. Connectivity between India’s Northeast and Southeast Asia is a long cherished goal which benefited from recent Japanese assistance in a Northeast connectivity project aimed at converting the region into a manufacturing center. Japan is offering ODA loans for the North East Road Network Connectivity Improvement Project (Phase I), aimed at strengthening the existing national highway network in and around the northeast states of Meghalaya and Mizoram. Modi’s ‘Skill India’ is aimed at cultivating a professional labor force catering to the manufacturing sector. This is another area where Japanese experience, disseminated through Japan International Training Cooperation Organization (JITCO) and Overseas Human Resources and Industry Development Association (HIDA), is valuable. Capacity building has found resonance with the Technical Intern Training Program and Advance Soft Skills Development Project in India, which aim to impart Japanese manufacturing practices critical for the success of the Japanese Industrial Townships in India. Moreover, HIDA has delivered in attempting to support skill development in the Delhi-Mumbai Industrial Corridor endeavor. The core elements of India’s ‘Smart City’ Mission can draw from the Japanese know-how concerning solid waste management, water recycling, urban public transport, and digitalization. There are prospects for joint R&D. In early 2016, the Indian Institute of Technology (Kharagpur) and Nikken Sekkei Research Institute (NSRI) agreed to collaborate and design smart technologies to build sustainable cities. Dealing with urbanization, Modi plans to build 100 smart cities which present opportunities for Japanese companies like Hitachi Data Systems with its social innovation solutions. Moreover, Modi’s reform line-up, together with the ‘Digital India’ plan, offers a chance for Japanese corporations to invest in the information and communications technology (ICT) sector where 100 percent FDI is allowed. Joint projects in Green ICT, including green mobile base-stations and ICT for disaster management, are being explored by engaging Indian and Japanese industrial partners. As India seeks to achieve sustainable economic development, priority is being accorded to enhancing energy efficiency, conservation and boosting renewable energy. As Japan is one of the most energy efficient economies of the world, India will benefit from technological cooperation and innovative solutions for building smarter communities. Japanese New Energy and Industrial Technology Development Organization (NEDO) and The Energy and Resources Institute (TERI) have done joint research expanding the scope of cooperation in the energy sector. Meanwhile, Modi demonstrated political will by redefining India’s national solar ambitions, targeting 100 GW by 2022. The objective is making solar energy more affordable, dependable, and unproblematic to connect to the grid. In this regard, there is increasing scope for Japanese corporations in the Indian solar market. Soft Bank, along with Bharti Enterprises and Foxconn, plans to invest $20 billion in solar projects in India and they bagged their maiden solar project at a competitive rate of Rs 4.63/kWh. Japan has a particularly special place in Modi’s economic and development vision for India. In the Asia-Pacific, Modi’s aim is to bolster India’s emerging power status. For this, he is willing to boldly engage, but not align, with all regional actors including Japan to leverage partnerships without diluting the fundamental values of India’s foreign policy. While some in Japan harbor expectation from India to be a balancer vis-à-vis China, India will not be any country’s formal ally. Under Modi, India is more forthcoming than in the past in articulating its position on few specific regional issues in an unambiguous manner where India’s interest is involved, such as freedom of navigation in the South China Sea. Modi has articulated India’s vision for the Asia-Pacific, engaged in strategic coordination including India-Japan-U.S. and India-Japan-Australia trilaterals, and accepted Japan’s participation into the Malabar exercise. There is certainly a greater strategic coordination on a few specific regional issues. Despite PM Modi’s high hopes for cooperation with Japan, it also needs to be noted that Modi has simultaneously engaged with China in building a closer developmental partnership, has adopted a different approach than Japan with regard to the AIIB, and conducted a joint counter-terrorism drill with China around the same time when Modi created space for Japan in the Malabar exercise. Therefore, a balance of interests is driving Indian policy. Japan is one but not the only important player in PM Modi’s vision. India will not align but instead looks to pragmatically engage with all the important players in the Asia-Pacific matrix to pursue its quest for multi-polarity and great power identity. Dr. Titli Basu is a Researcher at the East Asia Centre of the Institute for Defence Studies and Analyses (IDSA) in New Delhi. She can be contacted at jnu.basu@gmail.com. Posted in civil society issues, Creativity and Innovation, Defence-Security, Development Planning, Foreign Policy, Geo-Politics, Global Issues, Governance, India, Japan, Leadership, Politics, Public Accountability, Trade and Investment. What do most Singaporeans make of recent events in Malaysia? Bersih. Pesaka. 1MDB. A Deputy Prime Minister sacked. Protests and counter-protests. Are we so inured to commotions across the Causeway that they seem no more than the faint tolling of distant bells, evoking only bemusement and schadenfreude? Our system works, so shrug and tend our own garden. If this is the attitude, it is mistaken. We are indeed different. But I believe Malaysia may be on the cusp of a systemic change that could have profound implications for us. Since 1957, first Malaya then Malaysia, was premised on a political and social compact that had Malay dominance as its cardinal principle. So long as this was not challenged, other races could have their own space. In political terms, this compact was reflected in a system structured around an alliance of race-based political parties with the dominant Malay party – United Malays National Organisation or UMNO – at its centre. The Chinese were represented by the Malaysian Chinese Association (MCA), later joined by Gerakan; the Indians by the Malaysian Indian Congress (MIC). Two opposition parties, the Democratic Action Party (DAP) and Parti Islam SeMalaysia (PAS), were in principle multiracial, but in practice largely Chinese and Malay and in any case were peripheral. It was our refusal to accept the system’s cardinal principle that led to Separation from Malaysia in 1965. But it was a system that had its own coherence and until relatively recently, it did not serve Malaysia badly. And despite the complexities of bilateral relations and occasional periods of tension, over the last 50 years, it was a system we learnt to work with, while going our own way. That familiar system is now under immense stress. It is not certain that it can hold together.The pressure point is religion. Arab influences from the Middle East have for several decades steadily eroded the Malay variant of Islam in which adat or traditional practices coexisted with the Quran in a syncretic, tolerant synthesis, replacing it with a more austere and exclusive interpretation of Islam. This is one aspect of a broader process of globalisation which is a socio-cultural and not just an economic phenomenon. It has changed the texture of Malaysian society, I think irreversibly. It is impossible for any country to insulate itself from globalisation. Religion in Singapore is not immune from globalisation’s consequences, and not just in our Muslim community. Evangelical Christianity is one example. But Singapore is organised on the principle of multiracial meritocracy. So long as this is accepted by all races and religions as the foundation of our identity, the most corrosive political effects are mitigated. In the Singapore system, God – every God – and Caesar are separate and so all Gods must perforce co-exist, with the state playing the role of neutral arbiter. Not so in Malaysia. The cardinal principle of Malay dominance is enshrined in the Constitution, which also places Islam as the first component in the definition of a Malay. This makes the mixture of religion and politics well-nigh inevitable. UMNO politicians have been unable to resist the temptation to use religion for electoral advantage. They are responding to the logic of the system as it has evolved. In 2001, former Prime Minister Mahathir Mohamad made a fundamental political error when he tried to undercut PAS by declaring that Malaysia was already an Islamic state. A constitutional controversy ensued. But the most damaging consequences were political not legal. Tun Dr Mahathir’s incautious declaration gave a sharper political focus to the changes in the interpretation of Islam that were under way and catalysed a competitive dynamic in which those inclined to religious moderation were inevitably outbid and overwhelmed. The result has been an increasingly pronounced emphasis on religion in UMNO’s political identity and a significant and continuing narrowing of the political and social space for non-Muslims. Surveys show that Malaysian Malays privilege Islamic credentials over other qualities they look for in their leaders. A Merdeka Centre survey this year revealed that 60 per cent of Malaysian Malays polled identified themselves as Muslims first rather than Malaysians or even Malays. Demography accentuates the political impact of these attitudes. In 1957 the Chinese constituted 45 per cent of Malaya (West Malaysia). In 2010, they constituted only 24.6 per cent of Malaysia including East Malaysia. Malay fertility rates are significantly higher than both Chinese and Indians. The question was provocatively phrased, but not entirely unreasonable. Prime Minister Najib Razak tried hard to win back Chinese votes but got almost nothing for his efforts. MCA won only seven seats. Gerakan was wiped out. The DAP won 38 seats, the largest number in the opposition coalition. A new system in the making? The Chinese parties in BN had clearly lost the trust of Chinese voters. Can MCA win back Chinese votes? Doubtful. MCA is obviously powerless to stem the narrowing political and social space for non-Muslims; the fecklessness of its leaders exposed by constant scandals and internal bickering. In 2013, BN lost the popular vote but retained its parliamentary majority because of the 47 seats it won in East Malaysia. Native East Malaysians are not ethnically Malay but are classified as bumiputera. Some in UMNO began to question whether it was really necessary to work with the Chinese at all. The declining numbers of Chinese in the Malaysian population will sooner or later make them electorally irrelevant to Umno and BN had already retained power without their votes. Nor can the opposition coalition of the DAP, PAS and Anwar Ibrahim’s Parti Keadilan Rakyat – Pakatan Rakyat (PR) – form a new multiracial system. PR was always a motley crew. Although its component parties are in theory multiracial, they have nothing in common except the ambition to displace BN. Only Anwar’s charismatic personality and political skills held them uneasily together. Anwar is now in jail and PR has fallen apart. PAS has left. Without Anwar, Keadilan’s future is bleak. The DAP is subject to the demo- graphic constraints of a falling Chinese population and is unlikely to make substantial electoral advances beyond its present strength, although it will probably retain what it now holds. PR’s successor – Pakatan Harapan – a coalition of the DAP, Keadilan and a minor breakaway faction from PAS, is a forlorn hope (pun intended). PAS has purged its moderate leadership and is now led by the ulama. UMNO is increasingly relying on religion to legitimise itself. UMNO and PAS may eventually form some sort of de facto if not de jure alliance that could be the core of a new ruling system. There may be token ornaments of other races, but the Malaysian system will then comprise an overwhelmingly dominant Malay government with a DAP-led Chinese opposition. This will be potentially explosive. I do not know if such a system will really replace the current system, but it certainly seems possible, even probable. It will not happen overnight. But the controversy over 1Malaysia Development Berhad (1MDB) could well hasten its emergence. The recent demonstrations seem to foreshadow such a development. The anti-government Bersih demonstrations held in late August this year (2015) were, despite a sprinkling of other races, predominantly Chinese affairs. PAS, which had joined previous Bersih demonstrations, stayed away. The organisers claimed the demonstrations were apolitical, but the DAP with Keadilan clearly played significant roles. Last month, a pro-government counter-demonstration was organised by Pesaka – a right-wing Malay group ostensibly devoted to silat, the Malay martial art. The demonstration was almost entirely Malay, positioned as defending Malay rights and marked by fierce racial rhetoric. Before the demonstration, posters were displayed, captioned “Cina turun Bersih, sedialah bermandi darah” (Chinese who attend Bersih, be ready to be bathed in blood) which depicted a Bersih supporter being slashed with a parang. A flier with a similar slogan was found at DAP headquarters. UMNO denied organising the demonstration. Dato’Seri Najib did not attend but said he had no objections to Umno members doing so. The President of Pesaka is an UMNO leader. Another UMNO politician, who was one of the driving forces of the Pesaka demonstration, proudly admitted he was racist because it was under the Constitution. Thankfully, violence at these demonstrations was avoided by the strong police presence. But the demonstrations certainly raised the temperature of an already racially fraught atmosphere. Although the authorities denied it, the affray that broke out in July at Low Yat Plaza, a mainly Chinese shopping area in Kuala Lumpur, after a Malay youth was accused of stealing a mobile phone, was certainly racial. It exposed the tinderbox Malaysia had become. UMNO has always operated through a system of patronage. If this is what the spokesman was hinting at, then Dr Mahathir’s accusations against Mr Najib ring hollow. Did he not preside over the same system and for far longer than any other Malaysian prime minister? This system also means that Mr. Najib is in no imminent danger of being forced from office so long as he holds the majority of UMNO divisions and retains Malay support. Frustration may account for Dr Mahathir’s attendance at the Bersih demonstration which I do not think has raised the good doctor’s standing with the Malay ground. The 1MDB scandal is less about corruption than about a struggle for power within UMNO. Dr Mahathir seems to have expected to exercise remote control even though he was no longer prime minister. Among his grievances with his successors were their warming of ties with Singapore, Mr Najib’s decision to settle the railway land issue, cooperation on Iskandar Malaysia (IM) and the refusal of both Tun Abdullah Badawi and Mr Najib to proceed with his pet white elephant: the “crooked bridge”. Dr Mahathir wants to replace Mr Najib with someone more pliable. The intra-UMNO power struggle is not over. Mr Najib retains his office but has been politically damaged. Dr Mahathir’s reputation may have been dented, but he still has a following within UMNO and the Malay public. A former minister, Tan Sri Zainuddin Maidin, has said that “if Najib succeeds in uniting UMNO and PAS, then I am confident the Malays will forgive his grave mistakes”, adding that “after fulfilling this large and sincere task” he should step down and hand power to former deputy prime minister Muhyiddin Yassin. I do not know if Mr. Najib feels he has committed “grave mistakes”. But he certainly will not hand over power to a man he unceremoniously sacked. Still, Mr Zainuddin is probably not wrong about anyone who brings UMNO and PAS together becoming a Malay hero. It may not be Mr. Najib, but the trajectory of political developments in Malaysia already seems to point in that direction. Malaysia and Singapore are each other’s second-largest trading partner. Malaysia is Singapore’s sixth-largest investment destination and we are the top investor in IM. Every day tens of thousands of Malaysians commute across the Causeway to work in Singapore. It is in our interest to see Malaysia stable with a healthy economy. Mr. Najib understands that Malaysia and Singapore need each other. So far and unusually we have not figured very much in the controversies. Dr Mahathir did trot out his tired line about Singapore Malays being marginalised. But it did not catch fire. Did the government dampen the spark? No way of knowing for sure but if it did, it is one more black mark against Mr Najib in the old man’s book. We, of course, have no choice but to work with whatever system or leader emerges in Malaysia. But some systems will be easier to work with than others. And the current heightened state of racial tensions suggests that we should not assume that the transition from one system to another will necessarily be peaceful. It is my impression that many young Malaysian Chinese have forgotten the lessons of May 13, 1969. They naively believe that the system built around the principle of Malay dominance can be changed. That may be why they abandoned MCA for the DAP. They are delusional. Malay dominance will be defended by any means. Any new system will still be built around this principle, and if it has some form of UMNO-PAS collaboration at its centre, enforcement of this principle will be even more rigorous with even less space for non-Muslims. The respected Malay poet and writer Pak Samad recently warned “the way race issues are played up… it is not impossible that things will peak into a state of emergency”. Pak Samad is a member of the DAP and he was appealing to the government to take a more equitable attitude towards all races. But his views and those of some idealistic young urban Malays are exceptional and, during an intra-UMNO power struggle when the banner of Malay dominance is raised particularly high, utterly irrelevant. Singaporeans should also note that no country’s domestic politics exists in a geopolitical vacuum. In the midst of these unfolding developments, China’s Ambassador to Malaysia made his way to Kuala Lumpur’s Chinatown. Close to where only a few days previously the police had to use water cannons to disperse a potentially violent anti-Chinese Pesaka-led demonstration, the ambassador read out a statement that among other things pronounced the Chinese government’s opposition to terrorism, any form of racial discrimination and extremism, adding for good measure that it would be a shame if the peace of Petaling Street was disrupted by the ill-intentioned and that Beijing would not stand idly by if anything threatened the interests of its citizens and Malaysia-China relations. Under other circumstances these sentiments would perhaps have passed notice. But the timing and context laid the Ambassador’s words and actions open to disquieting interpretations. Was it just bad judgment? What was he trying to do? If the ambassador was trying to help the Malaysian Chinese, then he failed miserably. He probably made things worse for them by confirming the worst suspicions of the Malay right wing. But were the interests of Malaysian Chinese even a consideration? Was the intention to highlight a rising China’s clout? The Chinese Foreign Ministry spokesman defended the ambassador’s visit to Petaling Street as “normal” and emphasised China’s adherence to the principle of non-interference. But this was of course what she would have said irrespective of China’s intentions. More telling perhaps was the apparent confusion over whether or not the Chinese ambassador should be summoned to explain himself. This should have been obvious. A retired Malaysian diplomat who used to deal with China pointed out the dangerous precedent that would be set if no action was taken. But different Malaysian ministers contradicted each other, with a clearly frustrated Foreign Minister Anifah Aman finally telling them all to leave it to Wisma Putra. Was this the consequence of China’s influence? Possibly. In the end, some sort of meeting with Wisma Putra seems to have occurred. Deputy Prime Minister Ahmad Zahid Hamidi subsequently announced that the Malaysian Cabinet decided to “call in” the Chinese ambassador (he was careful to make clear the ambassador was not being “summoned”). We cannot solve other people’s problems. Malaysians must work out their own destiny and we will have to live with their choices. Are we completely immune to contagion from Malaysia? After 50 years, does our collective Singapore identity now trump racial identities? Maybe under some circumstances. Optimistically, perhaps even most circumstances. But under all circumstances? I doubt it. Let us wish Malaysia well and hope that the worst does not occur.But it would be prudent to take no chances and prepare ourselves as if it might. The first step is for all Singaporeans to understand what is happening in our neighbourhood and realistically appreciate our own circumstances. Deterrence and diplomacy are necessary to reduce the temptation that some in Malaysia may have to externalise their problems and minimise the bilateral friction that will sometimes be unavoidable. Strong deterrence and agile diplomacy must be underpinned by national cohesion which in turn rests on a foundation of common understandings. Of late it seems to have become fashionable for some sections of our intelligentsia to downplay or even dismiss our vulnerabilities. Some political parties tried variants of this line during our recent General Election. Are they blind and deaf to what is happening around us? Is their desire for notoriety or political advantage so overwhelming as to make them indifferent to the consequences? Malaysia is not the only concern. The haze is a daily reminder that all is not well down south too. This is not the most salubrious of neighbourhoods. Posted in ASEAN, Diplomacy, Foreign Affairs, Geo-Politics, Politics, Security, Singapore, UMNO. Many people were shocked last Thursday when Tengku Razaleigh Hamzah joined other Kelantan UMNO figures in signing a declaration of support for Prime Minister Najib Razak. In retrospect, though, the news should not have been so surprising. More than two weeks earlier, Ku Li did give a hint of where he might be going when he indicated that he would not be party to the Save Malaysia movement of former Prime Minister Mahathir Mohamad. The Kelantan Declaration effectively declares unconditional support for Najib in his positions as Prime Minister and UMNO President. This has prompted Mahathir to finger Ku Li as the prime mover, months ago, of a plan to table a no-confidence motion against Najib. Semangat 46 did not perform well in the 1990 general election, and eventually the party was largely re-absorbed by UMNO. But that run cemented the Tengku’s reformist legacy, and one must wonder what Malaysia would look like today had he become our fifth prime minister. There is no doubt it would look very different indeed, but history has already bestowed the victor the spoils. It would appear that Ku Li is finally shrugging off the legacy that defined him as a politician for decades. No longer with the reformists but with the establishment, he has made the choice to stand with Najib instead of the Save Malaysia movement. Mahathir can snipe all he likes, but the damage is done, and the ultimate winner in this exchange is Najib. Indeed, Ku Li had finally relinquished his dream of becoming PM when he announced he would not be running in the next election. It is clear that he had no path to that position whichever side he stands on, though one must hear him explain his actual motivations before making assumptions. It may be that Kelantan will finally get the attention it deserves. Whatever Ku Li’s true intentions are, we will know only when he decides to tell us, and with politicians, that may mean never. Regardless, the Kelantan prince bows out of the political scene causing a wave nearly as big as the one Malaysians saw when he campaigned against Mahathir all those years ago, and the Ku Li as Prime Minister we never really got to know becomes another “what if” to followers of Malaysian political history. Posted in Leadership, Politics, Tengku Razaleigh Hamzah, UMNO.